Waisted shirt for women by Punk Rave. Striking stars-button-front and cut-outs. Ruffled bust with hidden snap. 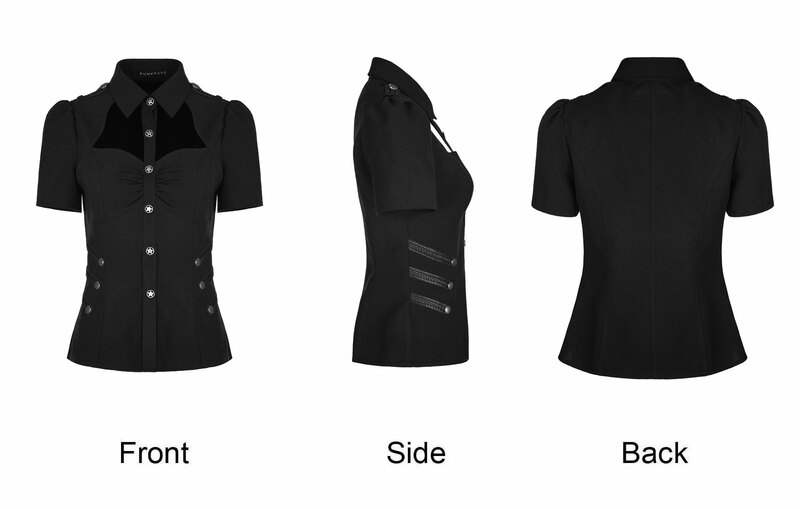 Braided leather strap details and same style epaulets. 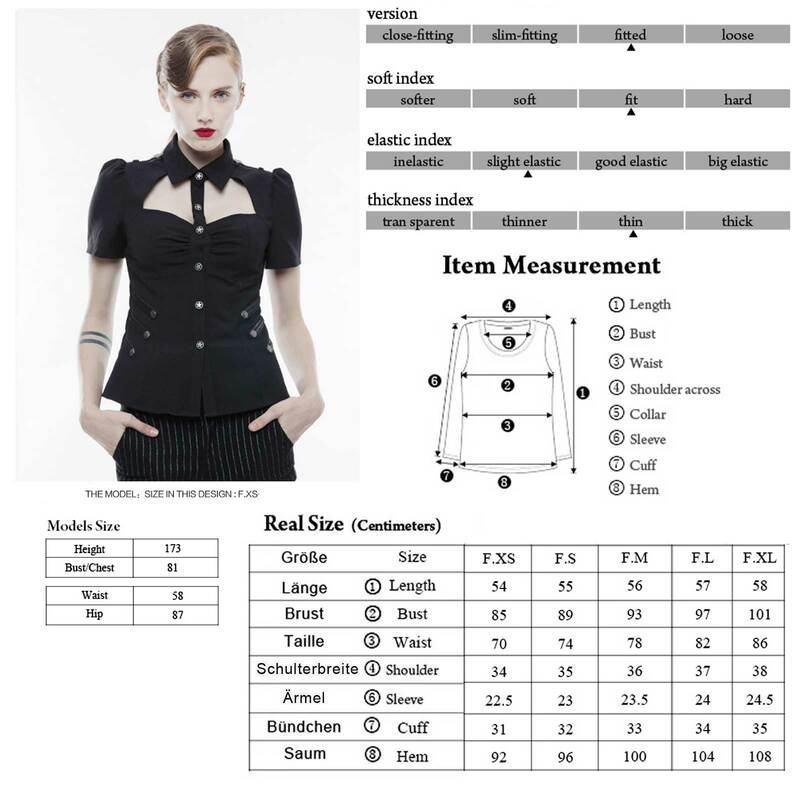 Waisted shirt for women by Punk Rave. Classic collar, striking stars-button-front and cut-outs over the cleavage. Ruffled bust with additional hidden snap. 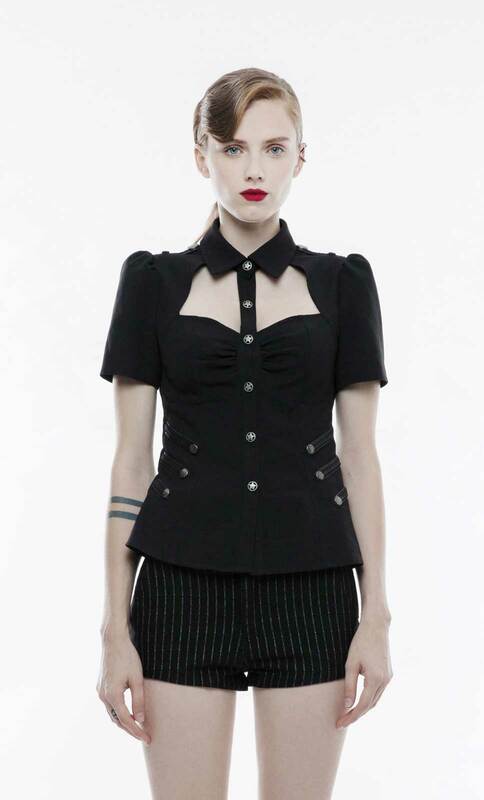 At the waist with braided leather strap details and same style epaulets. Short, slightly puffed sleeves. Fits great to military and uniform outfits.